For the complete program description CLICK HERE. 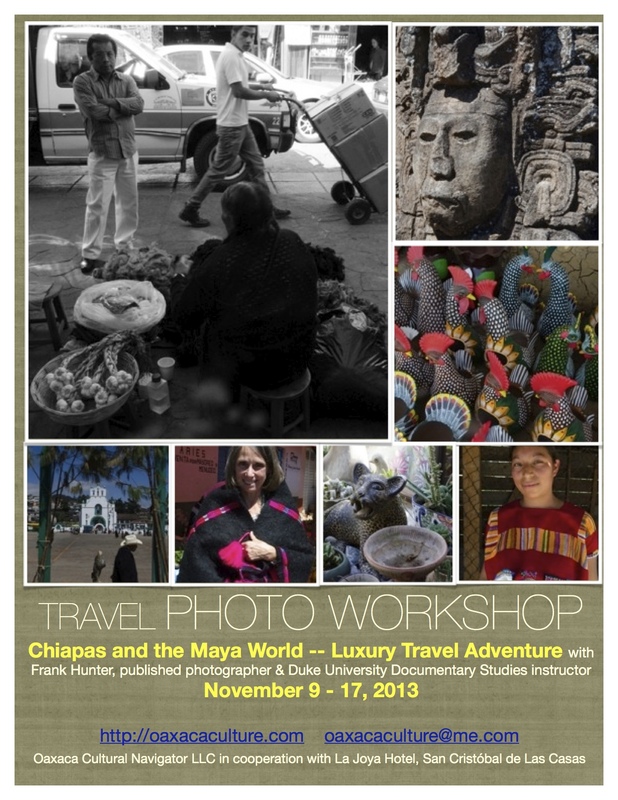 November 9-17, 2013. Remarkable archeological sites, living Maya villages, ancient customs and rituals, international cuisine, luxury accommodations at La Joya Hotel in San Cristóbal de Las Casas. Questions? Contact Norma Hawthorne. This entry was posted in Photography, Workshops and Retreats and tagged Mexico, photography, San Cristobal de las Casas, travel, workshop. Bookmark the permalink.